It’s a good thing Roger Federer has an equable temperament because, these days, he can hardly draw breath without making headlines. We have to return to last Christmas Eve for the cause of the biggest flurry of excitement in recent months, to the news that wife Mirka was expecting a sibling to their four-year-old twins. Immediately fans and paparazzi alike were checking calendars. It was, as Federer’s well-oiled PR machine has been for many years, a smart and timely announcement, made just as the family retreated from the spotlight for the holiday. Twitter could flutter away, Facebook could bubble to its own rhythm, and the world’s media could report and move on. When he emerged a few days later, ready to head to his first tournament of the season in Brisbane, he played his ace: the announcement of his tie-up with Stefan Edberg. It was the kind of news to divert headlines from fatherhood and channel them into Federer’s ambitions for 2014. And it was further stoked by the bigger, blacker racket he was now wielding. Only my wife knows that. But in the absence of facts, conjecture filled the void, especially as Mirka made her usual courtside appearances through the months. And in fairness, it became increasingly clear that this baby would arrive before Wimbledon rather than after, as the Federer twins had done. Eventually, in Monte Carlo—with Mirka a rare absentee—there was no denying the likelihood of a clay rather than a grass birthday. He talked of returning home to recuperate from a hard spring: By the end of April, he had indeed put together more match wins than anyone on the main tour, including the Dubai title, three finals—two in Masters—and a semi run in the Australian Open. I’m going back home because I need to recuperate. I played with a lot of intensity during the past month… My body feels strange and I need to sleep. But that brought the counter-question: Would he still play Madrid, Rome and the French Open? Here was an oblique way of asking the same question he had been posed at the start of the tournament, but his reply was predictably circumspect—proof, if it were needed, that he was right to blank the question earlier on. We’ve got to see what’s going to happen. There’s no date that is going to be for sure or not. So we’re just waiting. It’s a priority for me trying to be there to support my wife. Of course, I’ve played enough tennis matches. Missing a tournament or missing a match wouldn’t change anything for me. And would that include a Grand Slam? Let’s talk about it when it would happen. At the moment we hope it’s not going to be that way. If it is, that’s what it is, you know. Yet Federer, alongside his skill at keeping media and paparazzi under control, is free and easy with his fans, ensuring one of the widest networks of support on the tour, bolstered by 1.6 million Twitter followers and 14 million Facebook fans. He may have come late to Twitter but he has become one of its most proficient users: Selfies with witty handles, Q and A sessions that trend within minutes, and elaborate hash-tags that quickly became common currency. He is, it should be said, a willing partner in these interactions with fans: He signs anything put under his nose, poses with admirers for any mobile camera, shakes hands and shares jokes. To watch the ultimate pro in action after a practice session or a match is worth 20 minutes of any journalist’s time. But the days before the Madrid Masters illustrated perfectly the downside of such openness. Federer was scheduled to play in the tournament as the No4 seed, yet had not shown up in the Spanish capital. There was no photograph at the airport, no press conference at the Magic Box, no practice session. It was reported first that he had confirmed he was coming, then that he would arrive the next day, next that he had arrived the night before. Finally, it was suggested that he was already in Madrid and practising at a private club. I’ve decided to withdraw from Madrid to be with my wife Mirka during these next few exciting weeks for our family. I apologise to my fans and hope to be back in Madrid next year. I’ll be training near my home, and am excited to rejoin the Tour soon! 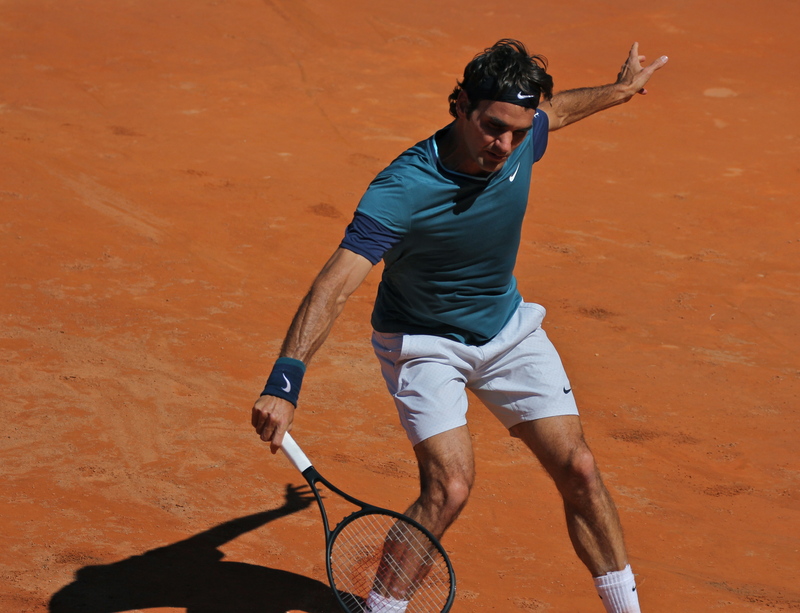 But that simply stoked the speculation: Never mind Madrid, he would surely also miss Rome—and many went further, interpreting Federer’s ‘few weeks’ to include the French Open. Just as when his first children were born, he had given not a clue to either date or arrival or number of babies—and in so doing, he had demonstrated the potency of social media in the right hands. Hours of speculation over where and when Federer might next play was trumped by Twitter used at its very best: One announcement, one emotive tag—and one certainty. That for a certain family in Switzerland, the work was just beginning, and only time—not Twitter—would decide what Federer did next. 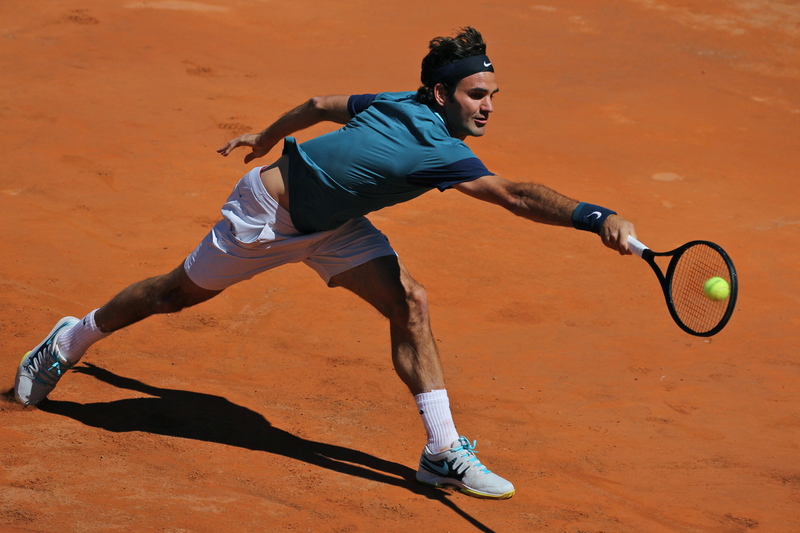 The story unfolded, as is so often the case when it comes to Federer, not as “experts” predicted but with the man arriving at Rome’s Foro Italico days later, sans family but ready to put that “training near home” into practice. He lost, just, in his opener but looked remarkably buoyant for a man who had just left a couple of days-old babies and a pair of four-year-old daughters at home. And the French Open? Well he arrived early, and tweeted: “Went straight to #centercourt” Not content with that, he played the first men’s match on the same court come Sunday, replete with twin daughters and wife courtside. Surely when tennis is done with Federer, or rather Federer is done with tennis, he has a career in time management—or running courses on how to use social media. One year after he joined Twitter, he is showing himself to be a master in whatever medium he chooses.